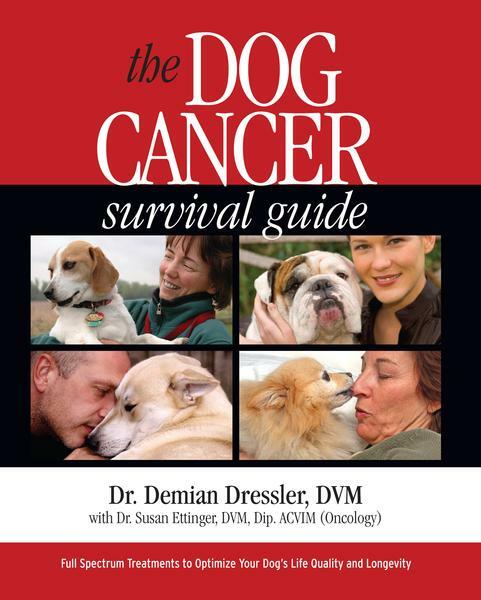 I’ve been told some of the most common questions readers of this site and The Dog Cancer Survival Guide ask are about the intersection of three things: CBD oil, dogs, cancer. Should I use CBD oil to help kill my dog’s cancer cells? Would CBD oil help with appetite during chemotherapy? My dog is in pain…should I use CBD oil? How about some of my own medical marijuana, can I use it with my dog? Would CBD oil be good for life quality? So let’s talk a little about hemp, marijuana, THC. CBD oil, dogs, cancer. More importantly, let’s talk about why we’re NOT talking about them. Or more accurately, why you haven’t heard about these options from me or your own veterinarian. Marijuana products have been gaining a huge amount of attention in recent years. And rightly so, since there has been an expansion in state-level legalization of marijuana and associated CBD products. CBD is an abbreviation for cannabidiol, an active substance found in marijuana plants. It usually doesn’t have any THC (tetrahydrocannabinol), the major marijuana intoxicant. If it does, it is only trace amounts. CBD oil is also extracted from hemp, a cousin of marijuana. You probably know that marijuana is illegal at the federal level. But you may not know that hemp is also a problematic plant from the fed’s perspective. More on both of those later. Now, on a state level, it’s a little different. As I write, thirty-three states have enacted expansive marijuana use laws. Ten of those states have even legalized recreational use, and ten more states may join them this year. With full legalization on the table, and expanding rapidly, the health benefits of marijuana are finally up for discussion. And, of course, dog lovers want to know: can CBD oil (and other marijuana/hemp products) help dogs with cancer? Dear reader, I’m not going to answer that very good question. Instead, I’m going to tell you why I won’t, and why your vet probably won’t either. When it comes to marijuana and CBD, we’re in the Wild West. Let’s look at why we are still in the Wild West when it comes to marijuana and CBD products in veterinary medicine. The first thing for you to realize is that there are some very sticky legal issues going on now for veterinarians. If you’re the sort of person who gets mad about inefficient bureaucracy, take a few deep breaths now, because what I’m about to tell you often shocks readers. When I got my veterinary license over two decades ago, there were zero instructions for us about what to do, or even discuss, about things like CBD oil and medical marijuana. Back then, those substances did not exist as medical options. They weren’t even imagined. Today, its different (and not in a good way). Let me explain. If I want to advise a client about whether to use plant-derived therapies for a pet’s health issue, I (almost always) can legally do so. You and I could legally talk about milk thistle to protect the liver, and I would be free to advise you to get a milk thistle extract. I am legally permitted to advise a dog lover on how to use dietary apoptogens from plants to benefit a loved dog. Tea tree oil as an anti-staph remedy? Okay. We could talk about medical mushrooms and their effects on cancer and the immune system, and I could suggest them. Have a question about how Jerusalem artichoke supports Fluffy’s healthy gut bacteria? No problem. Ask away and I’ll give you the scoop…including how to use it when you give Fluffy her probiotic. There are other things, however, that I cannot discuss with you without risking my DEA license. Fun Fact: I have a DEA License, not just a Veterinary License! Yes, I have a license from the Drug Enforcement Agency. I must have one in order to prescribe and dispense medications in my veterinary hospital. Bet you didn’t know that your veterinarian may have been licensed by the DEA, as well as the state veterinary board! So, in order to keep my license, I must follow all federal laws to the letter, because the DEA license is a federal license. Marijuana is illegal at the federal level so I cannot discuss it with you. Not unless I want to lose the ability to prescribe drugs. Yes: by discussing marijuana products with you, I am risking losing the ability to treat animals in my practice with all OTHER drugs. That would basically put me out of business as a clinician. Veterinarians are literally gag ordered when it comes to CBD and marijuana. If that sounds insane to you, you are not alone. But it’s true. Veterinarians are literally gag ordered as to CBD or marijuana recommendations. I’m not a lawyer, but that sure seems like a First Amendment violation. Doesn’t it? Not only are veterinarians disallowed from recommending medical marijuana or products derived from it, we can’t even recommend products from hemp! Don’t despair: there is plenty Dr. Dressler CAN write about, and DOES write about, in his comprehensive book. You’ll learn the best information on supplements, nutraceuticals, diet, mind-body, and of course, conventional treatments! Yes, That Includes Hemp Products! Yes, it’s true. Hemp is a cousin of marijuana, and even though we use it to make rope, and it contains virtually no intoxicating substances, it’s illegal to sell or grow it until just a couple of weeks ago! Even now that it’s been legalized, it’s really unclear whether CBD oil extracted from hemp will be legalized as well. The gag is so severe I’m not sure I am permitted to discuss the use of a hemp rope as part of, say, farm animal care. That is not the only crazy aspect of this legal quagmire. The DEA (Drug Enforcement Administration) lists marijuana and substances from the plant (THC and CBD) as Schedule 1 substances. What are Schedule 1 substances? Those with “no currently accepted medical use and a high potential for abuse”. You know, like heroin or LSD, which are also Schedule 1. Keep in mind that crystal meth and cocaine are Schedule 2 substances … a notch lower in the existing legal framework. Crystal Meth, Cocaine = Schedule 2. Marijuana, Heroin = Schedule 1. Go ahead, take a sip of water and a few deep breaths. I’ll wait. Since I can’t legally prescribe your dog heroin, I can’t prescribe CBD oil either. It’s illegal to prescribe your dog heroin … and, CBD oil. But I can prescribe pills that are part of the opioid epidemic. By the way, poppies are the original source of those opioids. And what else is derived from poppies? Heroin. … And Yet Cannabinoids Are Patented. Here’s another headscratcher: the United States Government owns patents for drugs using marijuana’s active molecules, specifically patent 6,630,507 , entitled “Cannabinoids as antioxidants and neuroprotectants”. But don’t go away mad, because there is more. Marijuana Drugs Already Approved – and Yet Illegal? Truth is, the FDA approved marijuana-compound based drugs for international and domestic use. For example, Epidiolex addresses certain seizures in humans. That’s clearly a medical use of a marijuana compound. In the USA! Since DEA’s Schedule 1 classification specifies that substances from marijuana legally have “no accepted medical use,” and since the United States Federal Drug Administration approved Epidiolex in June 2018, for medical use … Schedule 1 classification seems a wee bit problematic. The DEA and the FDA should probably put their heads together on this. In other words, the head of the FDA thinks medical applications for marijuana exist. But the DEA still thinks it’s worse than crystal meth, and as bad as heroin (a cousin to opiods, which are legal). The legal situation overall strikes me as just awful, confusing, and logically upside down. Marijuana and CBD oil are illegal at the federal level. Meanwhile, they are legal in some fashion in some states. Who wins that argument? When it comes right down to it, the feds do. And that’s why I and most veterinarians I know just don’t discuss these topics. If you feel frustrated, I understand. I share your frustration. And I hope you understand our position. There are countless manufacturers and forums operating in the gray area between legal and illegal advice. But we veterinarians are really unlikely to join you in that gray area. It’s just too risky for us. Until this gets sorted out at the federal level, we are risking losing our business altogether. That’s a lot of people out of work, and a lot of pets without care. Even in states where marijuana and/or CBD products are legal. Not all veterinarians have DEA licenses, but it’s tough to ask any vet to skirt the law. I hope you understand. Looking forward, I’d like to give you more information on CBD oil and marijuana products. But, as you can imagine, I really don’t want to have my drug license jeopardized, which means I need to proceed very, very cautiously. Believe me, as the situation changes, I will be writing about it. I truly appreciate the knowledge you generously share with all of us going through this disease called Lymphoma! I rented your book from the library and read everything I could learn to give by girl the best possible quality of life. She was adopted at 7-8 and she is now 12. I am overwhelmed with vet visits every two weeks but have had great success for 7 months on CHOP. She fell out of remission this week but L-asparigin and Cyclo together seemed to have done their job. The nodes have shrunk. You have taught me to accept the new reality day by day. And the support and information you share has been of great comfort in this scary time. Thank you for holding my hand in the dark and steadying the way. Thanks for writing, and for sharing your story with us– it sounds like your girl has an amazing guardian looking out for her! I’m confused since CBD oil, hemp, is legal in all 50 states. Business is booming for treatibles, hempworx, hempmypet, and others. The legality is not unclear. If Dr. D wants to learn and research further prior to discussing with patients, or doesn’t believe in its efficacy, that’s a different story and should be stated as such. Hi Ellen! Molly here. As Dr. D clearly states above, and the supporting articles attest, the federal status of hemp oil is not at all clear. You are correct, it is legal to BUY in all 50 states, but the ability to sell/grow is only legal at the Federal level as of late 2018, and the details of that legislation do not exactly make clear how the law will be enforced. One thing is clear, though: the FDA specifically does NOT think that CBD is now “legal” at the federal level. As reported by MarketWatch, CBD oil remains a drug ingredient that requires approval. The fact that it is being sold and marketed just means businesses are taking risks if they make health claims about their products. For this reason, Dr. D is specifically NOT addressing CBD’s medical applications in this article. While he does point to some of the benefits already known by the federal government itself, and provides links so people can do their own research, he doesn’t say that it is or isn’t helpful. He can’t. The reason he can’t is because at the federal level, the legality remains murky and uncertain, and he doesn’t want to risk losing his license. This article is bringing attention to the incredible risk vets and other health professionals face as they talk about options with their clients about hemp and marijuana products. Until it’s legal at the federal level, Dr. D just isn’t willing to risk his business and the livelihoods of the many who depend upon him. The issue of whether CBD “works” or not, and how to use it, is not addressed in this article because to do so would be risky for him personally and professionally. This must be straightened out at the federal level before practitioners can really feel safe talking about these products. As Dr. D points out, other plant-derived products are not illegal for him to discuss, but his DEA license explicitly precludes him discussing any product derived from hemp or marijuana. Sigh. Dr. D isn’t saying he doesn’t know enough or doesn’t believe in it. He’s saying he can’t discuss the topic. As you point out, and as he points out in the article, there are lots of places to learn more, and there may even be veterinarians who do not have public platforms that might be willing to discuss this topic with clients. It’s just not going to happen here until this gets straightened out at the federal level. It’s truly unfortunate, isn’t it? Hi Molly, thank you for responding. It’s very unfortunate. I find it hard to believe that businesses actively advertise and sell their product, making good money, and have no fear of this murkiness of its legality. I will present this question to the ones with whom I do business. Perhaps that loophole is that they’re not actually manufacturing it? On the other hand, companies in CO manufacturer it, and sell it. They’re proud of their extraction process. Thank you for providing this information, and I truly hope it’s cleared up soon so the doc can move forward without fear of sanctions. I do not mean to imply that any company that sells or makes CBD oil products is breaking the law. I’m just saying that the law is murky and giving advice about how to use these products to treat disease is exactly what the FDA does NOT want people to do. And as Dr. D points out, when something is considered illegal at the federal level, and legal at the state level, the feds win in a fight. Since the FDA itself has decided CBD and marijuana likely have medical use, no wonder we’re all confused! In the end, what Dr. D is trying to do in this article is explain why some vets refuse to even discuss these topics with their clients. It’s not necessarily because they are close-minded, or haven’t done any reading in the last decade … it could be because their families, and the families of their employees, depend upon them. Thanks for understanding! Dr Dressler must not be aware of the recent passage of the Farm Bill 2018 which removes the controlled substance status of CBD derived from hemp. Additionally it is our First Amendment rights as veterinarians to reduce harm in our patients by discussing the risks involved with the use of THC, which is Federally illegal but which is available to our clients to give to their dogs and cats without having the benefit of professional veterinary advice. In spite of the warnings by the AVMA and state associations, there has not been a single enforcement, other than a warning letter in any of the 50 states over this issue. CBD and THC have had numerous studies supporting their effective use in the cancer patient both for their anti-neoplastic, anti-angiogenic and anti-metastatic effects as well as their ability to reduce the adverse side effects associated with cancer therapies and cancer itself. Hello Dr. Silver, thanks for weighing in! Dr. Dressler is in no way ignoring the weight of the evidence for medical applications. Dr. Dressler also included the link to the many articles on the NYTimes site about the use of these products as his first link, too. https://www.nytimes.com/topic/subject/marijuana-and-medical-marijuana. Readers have the right to explore the topic and talk about these things with their practitioners, of course, and their practitioners have the right to discuss them as they see fit. Dr. Dressler also refers (indirectly) to the Farm Bill, pointing out that hemp was made legal just weeks ago in the body of the article. A link to a Vox.com explainer is included in the Further Reading and References section of the article. It’s the second link in the list, and here’s the link again: https://www.vox.com/the-goods/2018/12/13/18139678/cbd-industry-hemp-legalization-farm-bill. As reported in the article, the legal status of CBD oil or other hemp products is still unclear, although of course I personally hope, as I’m sure any reasonable person does, that these products become fully legalized. And while you are correct, the First Amendment SHOULD protect veterinarians, as Dr. Dressler also points out, the reality is that the risk is real. Warning letters are scary for many veterinarians, of course, because it indicates that law enforcement officials have been monitoring and will continue to monitor that veterinarian in the future. Dr. D’s main point is that he personally is not going to risk his DEA license, and to explain to the many people who read this blog the reasons behind that decision until the Feds get their act together. I will also make sure that links to relevant articles in the list at the end are inserted into the body of the copy, just to be clear. Thank you so much! Excellent, helpful insight Dr. D, 3-paws up for setting the record straight. We WILL be sharing this as often as we can within the Tripawds community. Thank you so much.